Which is the best purple hair dye, right? This remains the biggest puzzle considering the huge variety of cheap, expensive, best quality or bizarre hair dyes available in the stores. Finding the purple hair dye that gives you the exact shade of purple that you yearn for, has proven to be a gigantic task. Here are therefore some of the best rated purple hair dye to look out for when hunting for a suitable hair dye. The Pravana Chromasilk Vivids Violet is among the top preferred purple hair dyes available on the market today. The semi-permanent vibrant hair dye has a long lasting effect on your hair and does not require mixing with any developer. Manic Panic Purple Haze Ultra Violet Cream is similarly one of the best. It is a long-lasting semi-permanent hair dye that besides adding a flattering shade of purple to your hair, it also conditions it. The Sparks Long-Lasting Bright Hair Color, Purple Passion is a purple hair dye that not only gives you an outstanding vibrant purple color but also conditions your hair. Jerome Russell Punky Color in Violet is a top rated dye that leaves you with a soft and conditioned hair. Ultra Violet Purple Maniac Hair Dye by MyPartyShirt is a semi-permanent hair dye lasts in your hair and also conditions it. It is an ideal light purple hair shade and has its best results on bleached hair. #1. The PravanA Chromasilk Vivids Violet 3 oz. The Pravana Chromasilk Vivid Violet Hair Dye is a quality dye that can be directly applied to your clean, dry and pre-lightened hair. The semi-permanent hair dye leaves a lasting color effect on your hair. As the product suggest, this product of Pravan leaves you with a vivid violet hair. It comes in a 3 oz dye tube, whose dimensions and weight are 2x 1.1x 8 inches and 0.3 once respectively. The content in the tube is just enough for a complete coverage. In addition, adding just a little hair conditioner ensures a top to tip coverage. Ready to apply right out of the tube. A small amount has large coverage. Maintains well the looks even when it fades. Easy to wash off stains. Bleeds a lot whenever it is washed. It leaves purple hair stains on anything your hair comes into contact with. The color begins to fade, leaving a faint color. This is a semi-permanent hair dye that gives a beautiful outcome when used on bleached hair. Not only does it leave your hair with a catchy hair color, it also conditions it. The product weighs 4 ounces. It can as well be used to highlight or cover your entire hair. The Manic Panic Purple Haze is ready for use right out of the package. It does not require mixing or adding any developers for an admirable result. The dye, whose origin is Belgium, is a product of Manic Panic manufacturers. The product brings out a beautiful shade of purple, especially on the pre-lightened hair. A beautiful shade of purple as the outcome. Colors evenly, from the root to the tip of the hair. The purple color fades into pink. Its best performance is only on bleached hair. This is a permanent hair dye that also leaves you with a healthy and conditioned hair. It can be used separately but mixing it with another color brings more glamor. It also brings out the best outcome when used on pre-enlightened hair. The dye does not contain any paraphenylenediamine (PPD). It comes in a 3 oz tube, with a 4x4x6 inches dimensions and weights 3.8 ounces. It is a ready to use dye and does not require mixing with a developer. Moreover, it only requires a small amount to give the best results. The product is also vegan-friendly. It also recommended that you use this dye on pre-lightened hair in order to have a desirable outcome. Before applying it, your hair should be freshly cleaned and dried. It gets absorbed into the hair fast. It requires you do bleach your hair for the best outcome. It does not bring out the right color on natural hair. #4. Jerome Russell Punky Colour Cream Purple. Jerome Russell Punky Color Cream is a semi permanent hair dye that adds a vibrant purple color and leaves your hair conditioned and healthy. Like most other dyes, this dye suitable for bleached or chemically treated hair. It is recommendable because it does not require any peroxide or developer. The product, whose origin is the USA, weighs 4.8 ounces with dimensions of 2.7x2.2x2.1 inches. The color is long-lasting but eventually fades into a lighter shade. What is more, the Jerome Russell Punky color cream has an enticing smell of grapes. Besides this, it will also soften your hair. It does not bleed and stain a lot when washed even for the first time. Its shade of purple is admirable. Gives your hair a pleasing scent, weeks after applying. Leaves purple stains on the towel and on the skin. Best results will only be seen on bleached hair. It has a more pink tone. #5. Ultra Violet Purple Maniac 4 Oz Hair Dye by MyPartyShirt. This is a long lasting semi permanent hair coloring dye that is made from vegan and leaves your hair healthier and conditioned. It is recommendable to use it on bleached blonde or platinum blond hair in order to match your expectation. The product of MyPartyShirt has a dimension of 2x2x2 and weighs 4.8 ounces. The outcome color is a shade of light purple. It can be used alongside other brands. It has a desirable shade of light purple. It is easy to clean out when it stains your hands. It will last longer if you take good care of your hair. It is not a vibrant purple color. It doesn’t work out best for unbleached hair. It fades away easily when used on natural hair. It is manufactured using a vegan formula, hence does not contain any animal contents that are likely to bring damage to your hair. Its bright purple shade is brilliant for highlighting and coloring the entire hair. It also conditions your hair. The best outcome, it is necessary to first bleach your hair. It will fade away easily when used on natural hair. It is also necessary to pre-wash your hair before using it. When dying your hair using the product, you can mask it on your hair for hours. 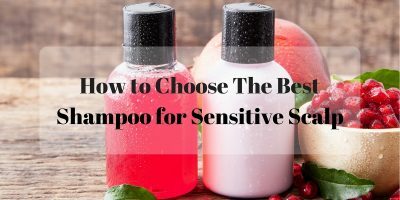 This is because, being a conditioner, it will not harm your hair. Avoiding washing it too often as it will ensure that the dye lasts longer. 2 or 3 times in a week should be enough for hygiene purposes. Sparks Long Lasting Bright Hair Color Purple Passion performs well on bleached or unbleached hair. If you are looking for the following features then this is the product for you​. Bold and intense purple shade. Works for both bleached and non-bleached hair types. Wash your hair and dry it thoroughly. Apply petroleum jelly to your neck, face, and ears to avoid staining because it certainly leaves a lot of color when you wash it. This product does not damage your hair since it is a conditioner and does not contain ammonia. Has keratin amino acid and silk protein to prevent your hair from damage. It is also professionally approved and is preferred for its ability to last long in your hair. It is also true that with this product only a little amount is needed to provide an adequate coverage. Bad result arises when you use the whole tube all at once. ​In order to avoid excessive color bleeding, you should also dilute the hair dye with a conditioner. You will need to have pre-lightened hair before you apply this dye. If your hair is dark, the dye will only highlight your hair. A dye with no animal testing. 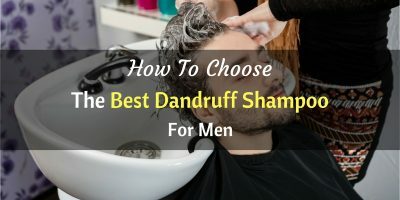 Clean your hair and dry it. Contact with the eyes and face should be avoided at all cost since it causes skin irritation. You should also use protective gloves when applying it to your hair. The shade that you want. Economical in terms of how long you can use it. Can work well for any hair type, bleached or unbleached. The Pravana Chromasilk ﻿V﻿ivi﻿﻿d ﻿V﻿iolet matches these qualifications. It is, therefore, the right purple hair dye, which is will give you the best results. In addition, it has also been professionally approved and the brand has scooped several awards.